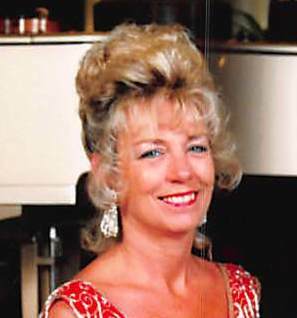 Dawn Cox, 71 of Beecher, IL passed away February 5, 2019 at Beecher Manor Nursing Home. Dawn was born on December 23, 1947 in Chicago Heights, IL the daughter of Wilbert and Phyllis Oldenburg nee Meyer. She is survived by her daughters Torri (Ronald) Fish of Ocean Side, CA, daughter Jodi (Christopher) Coogan of Valparaiso, IN and a sister Brenda Bunte, four grandchildren: Mason, Tyson, Chloe and Jackson, She is preceded in death by her parents as well as her husband Larry Cox. Dawn enjoyed entertaining family and friends as well as spending time with her grandchildren. Visitation will be held Sunday February 10, 2019 from Noon until 5:00 p.m. Funeral services will also be conducted Sunday February 10, 2019 at 5:00 p.m. at Hack Funeral Home. Rev.Tom Ewing will officiate. A private family burial will be at St. Luke Cemetery in Beecher. Memorials may be directed to the family for a memorial to be established.